Litta Petrosyan is the project manager for the Environmental Education and Outreach projects at the AUA Acopian Center for the Environment. 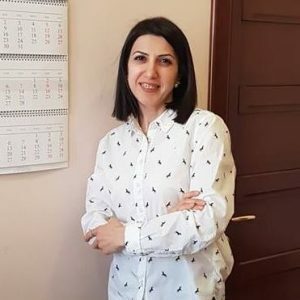 She organizes and coordinates environmental education activities/programs, campaigns, camps, and outreach throughout Armenia (including with communities, schools, other universities, and more), scientific and policy conferences, as well as workshops and seminars. Currently, Litta is managing the GAtES and the ITAMSPE projects. As a project manager, she oversees the project and is responsible for its planning, design, execution, monitoring, controlling and closure. Additionally, Litta prepares and edits reports and articles for environmental education and outreach. Before joining the AUA Acopian Center for the Environment, she worked as an event manager at the Armenian branch of Publicis, one of the world’s largest communications firms. She is an AUA Alumni who graduated with an MBA in 2014. 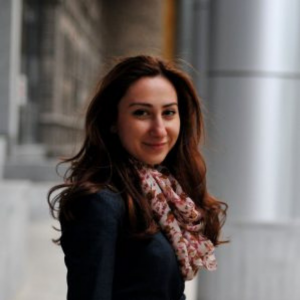 Tatevik Vardanyan works as a Grants and Projects Manager at AUA Acopian Center for the Environment. She is responsible for supporting the development and writing of grant proposals, managing and coordinating the quality and timeliness of project implementation. In her position, Tatevik is coordinating preparation of contracts, financial reporting, planning and executing stages of the project. She is also maintaining partnerships and other collaborative relationships with a range of local and international stakeholders. Tatevik has served as grant and project manager at the Acopian Center and the AUA Center for Responsible Mining since 2016, she has supported the implementation of the projects in cooperation with the government, international organizations, civil society sector entities. Prior to that, she worked as Operations and Communications Coordinator at the AUA Acopian Center from 2014 till 2016. She holds an LL.M degree from the American University of Armenia and a BA degree from Brusov Yerevan State Linguistic University. 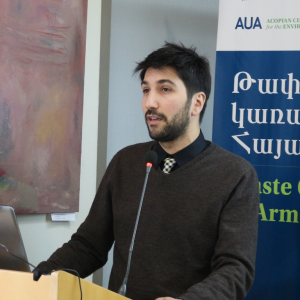 Harutyun Alpetyan, an alumnus of the AUA Master’s program in Industrial Engineering and Systems Management, has been appointed as a lead expert for Waste Governance in Armenia, an 11-month project that started in November 2018. The project is funded by the Swedish Ministry of Foreign Affairs under its Swedish-Armenian SDG Expert Exchange Programme. The project is being implemented in partnership with the Government of Armenia and Swedish partners Life Foundation and Miljo & Avfallsbyran. Harutyun has worked in the field of industrial automation and integration as a product design development manager. 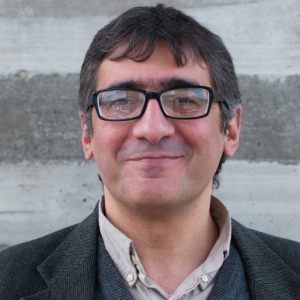 As part of his academic work, he’s focused on energy management as well as analyzed Yerevan’s waste-collection system. He also co-teaches courses at AUA on topics such as solid and hazardous waste and developing and implementing environmental projects. 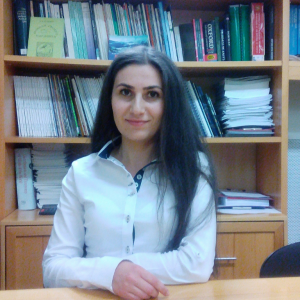 Lilia Khzmalyan joined the Acopian Center for the Environment and the Center for Responsible Mining as a Project Assistant for MLRI and ITAMPSE projects in March 2019. Lilia assists in the handling of these projects’ day to day activities, their administrative and financial components, contract processing, as well as organizing centers’ events and other activities. Lilia graduated from the English-Japanese faculty of the Yerevan Institute of Humanities. From 1998-1999 she was an exchange student in the US. 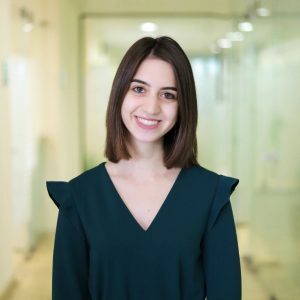 Prior to joining our team Lilia has worked with the “Armenian Water and Sewerage Company” CJSC, RA Ministry of Finance, USAID Tax Improvement Program, “Tetley Tea” Ltd in Moscow, Russian Federation and freelanced for the US Embassy in Moscow, Russian Federation. 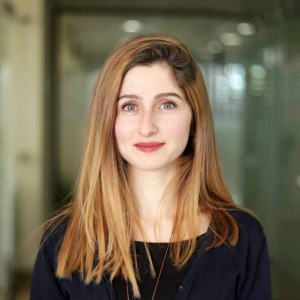 Tatev Haroyan joined the AUA Acopian Center for the Environment as a project assistant in September 2018. Tatev has a key role in assisting the implementation of multiple projects within the AUA Acopian Center. Her primary responsibilities include assisting in organizing project activities, handling its administrative and financial components as well as contract processing for Sustainable Energy Academy, organizing center’s events and other activities. Tatev Haroyan is a graduate’18 of the American University of Armenia and holds a bachelor’s degree in Business. Prior to joining ACE, she has worked and done internships in different spheres, including banking, agricultural and cultural industries. 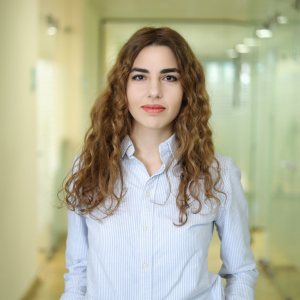 Aghavni Harutyunyan is the Geographic Information Systems (GIS) specialist at the AUA Acopian Center for the Environment (ACE) and AUA Center for Responsible Mining (CRM) starting in 2015. Ms. Harutyunyan is creating maps and providing data analyses through GIS. Before joining AUA ACE and AUA CRM she worked at the National Survey for Seismic Protection of the Ministry of Emergency Situations of RA. Ms. Harutyunyan holds a Master’s degree in Geography from the Yerevan State University from the Department of Geography and Geology. Sean joined the Acopian Center in 2017 as a lecturer on Disaster Management. He has worked with both local governments (City of Palm Bay Florida) and private sector companies (Harris Corporation, Chevron) on disaster preparation, response, and impact modeling. His expertise is in Geographic Information Systems and Remote Sensing, with a specialization in data analysis and quality control. He holds a Masters Degree in Geographic Information Science from Florida State University. Sean came to Armenia initially in 2008 as a United States Peace Corps volunteer working on environmental awareness at Halidzor Secondary School in Syunik Marz. He is continuing this work through teaching and other projects at ACE. 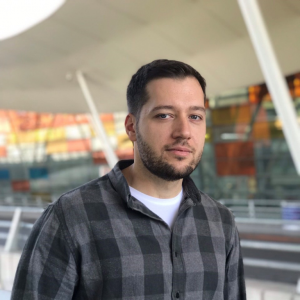 Dr. Alexander Arakelyan joined Acopian Center for Environment in 2018 as a GIS and Hydrology Expert. Currently, he is managing the ALTER and UNDP “Development of E-learning Course on Environmental Education” projects. Alexander also leads GIS Lab in the Institute of Geological Sciences of the National Academy of Sciences of Armenia. 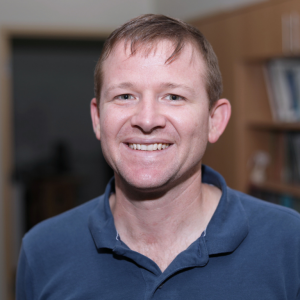 His expertise is in hydrology, GIS analysis and modeling, water resources management planning, environmental research as well as disaster risk assessment and assessment of climate change impacts on water resources. He has been involved as a GIS and Hydrology Specialist in more than 30 State and donor-funded projects in Armenia, Tajikistan and Kyrgyzstan. Alexander has a PhD in Engineering (Surface Hydrology, Water Resources, Hydrochemistry) from the Institute of Water Problems and Hydraulic Engineering after Academician I.V. Yeghiazarov. 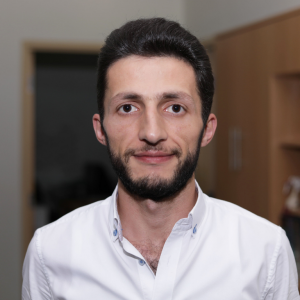 Vardan Hayrapetyan serves as a researcher at the AUA Center for Responsible Mining since 2015. From 2017-2018 he has been the Teaching Associate of several environmental courses, including ENV 170-Chemistry in Everyday Life, ENV 203-Environmental Monitoring. 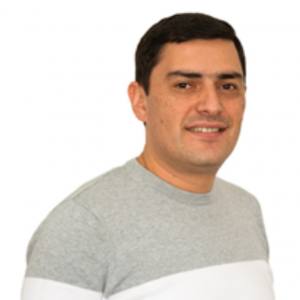 Vahe Vardanyan joined AUA CRM starting from July 2016 and is responsible for establishing sound communication between the CRM and mining companies, as well as developing grounds for sharing knowledge and experience intended for continuous improvement of industry corporate responsibility. Before joining CRM, Vahe worked for a Canadian mining company “Dundee Precious Metals Kapan” (DPMK) for about 9 years first in the role of Environmental Manager then promoted to Director of Administration Services. He was also part of Mott MacDonald team in Armenia, which was responsible for developing EIAs, RAPs, and EMPs for Millennium Challenge Corporation financed projects in Armenia, as well as expediting the environmental permitting process and environmental oversight of construction works. 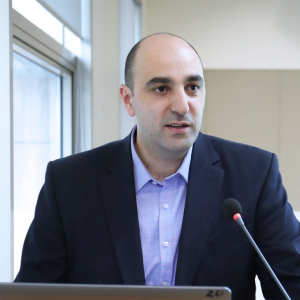 At the earlier stages of his career, Vardanyan was also working for UN WFP as a program monitor for Syunik marz. Vardanyan was awarded Edmund S Muskie Graduate Fellowship in 2009 for a Master’s Degree program in the US. He received his MS in Environmental Science from the University of Idaho in 2011. He is also a graduate of Yerevan State University of Economics in the field of World Economics. 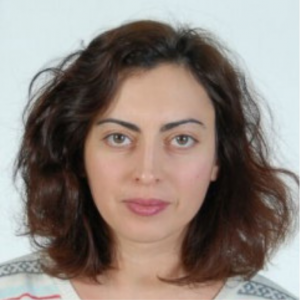 Lena Nazaryan worked at AUA Center for Responsible Mining from March 2015 until December 2016. She was responsible for organizing soil, water, and blood testing in mining communities including preparation of agreements with local communities and organizing educational and awareness activities in mining communities. Before joining CRM, she worked at the Transparency International Anti-corruption center NGO as a Project Coordinator. Through her work at TI she has gained professional expertise in research, project management, project monitoring and evaluation. 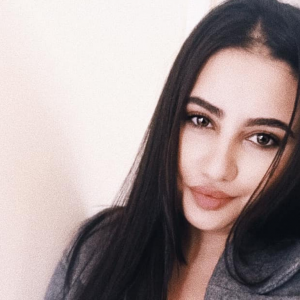 Lena Nazaryan graduated from Yerevan State University, Department of Journalism and holds a Master’s degree from the same institution in Media and Communication. 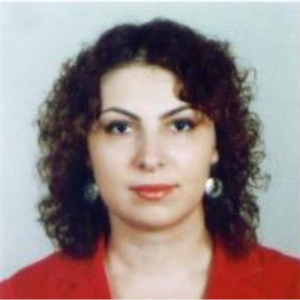 Liana Margaryan served as the Senior Researcher and Environmental Toxicologist at the AUA Center for Responsible Mining from September 2015 until December 2016. She designed monitoring and research projects to assess the environmental risks in the Mining communities. She was a 2014 winner in the nomination for Scientific and Practical Achievements and Socially Significant Activity in the Field of Ecology in the CIS member-countries from the Republic of Armenia. Prior to AUA worked as a Deputy Director in the Environmental Impact Monitoring Center SNCO of the Ministry of Natural Protection of RA. She has consulted UNIDO and USAID on water quality assessment. Liana holds a PhD from the I.V.Yeghiazarov Institute of Water Problems and Hydro-Engineering and is an Associate Professor in Geo-Ecology. Fall 2018-Spring 2019 Intern at the AUA Acopian Center for the Environment Yeva Petrosyan, an Armenian Volunteer Corps volunteer from Nantes, France, will spend next eight months in Yerevan working at the AUA Acopian Center for the Environment. Yeva holds a Bachelor’s in Mathematics and Economy, and a Master’s in Economics of Environment, Sea, and Energy from the University of Nantes. Yeva is interested in renewable energy technologies and their implementation, as well as sustainable aquaculture development. Currently, she is working on a publication about the Perception of Degrowth on a heterogeneous population sample with the help of Q Methodology. At the AUA Acopian Center, she will be assisting with report writing and data analysis on the statistics related to mining and Sustainable Energy Academy 2018. Meri Galstyan serves as the Deputy Manager of Mining Legislation Reform Initiative, a project of the AUA Center for Responsible Mining since 2015. She is in charge for implementation of the project in components of domestic and international mining legislation review and analysis, coordination of project partnership with the state institutions, civil society representatives and international agencies. She is also lecturing Mining Law at AUA LL.M. programme. Her previous areas of expertise include legal and policy analysis of draft bills for RA National Assembly, alternative dispute resolution and negotiation consulting and training. 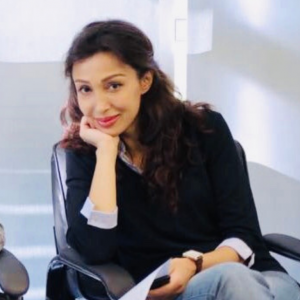 She has LLM degree from American University of Armenia, and BA in Political Science from Yerevan State University of Languages and Social Sciences.